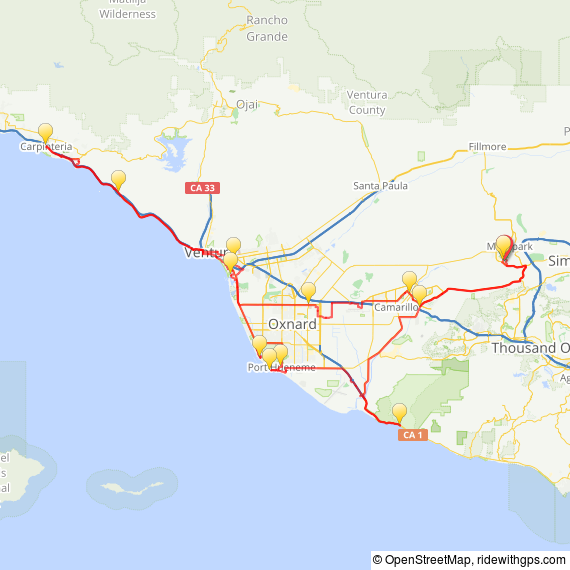 This ride was originally planned to be an out and back ride to Santa Barbara, but the route had to be changed due to flooding in the Montecito area. Many roads on the original route were still closed for clean up and some search and recovery efforts were still underway. Our hearts go out to those whose lost friends and loved ones during that tragedy. It seems unfair that while we are enjoying a lovely day on our bikes, others lives have been turned upside down.